Finding the correct polarity as well as the potentiometer resistance, of an expression pedal can be difficult. But having the correct polarity and resistance can mean the difference between an effect being modulated or not. So, this list is provided to help in that area. The list contains solely expression pedals, or expression pedals with volume pedal options. We hope our database of expression pedals is of use to you. Much care has been taken compiling it, but no responsibility is taken for its accuracy. It is suggested to contact the manufacturer of a device to verify your units specifications. 6The 4E dual axis has four 25k expression jacks. Two of these can be switched to 10k. 9mom/latch - Kit available to change between momentary and latch switching and toe switch height adjustable via additional washers for spacing. 14Sensor – is a 3.5mm TRRS jack used by Source Audio’s own effects units. TRRS and TRS cannot be used simultaneously on this pedal. 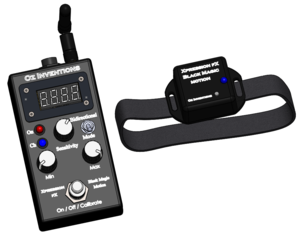 18Expressionator – Not a pedal; requires an expression pedal at input (10k – 25k recommended). Splits input into three outputs. 19Footprint - Height is closed height. Unless both closed and open heights are specified. 22 Can custom make, and has a range of set-and-forget expression pedals that come with a large rubber knob so they can be actuated with the foot.